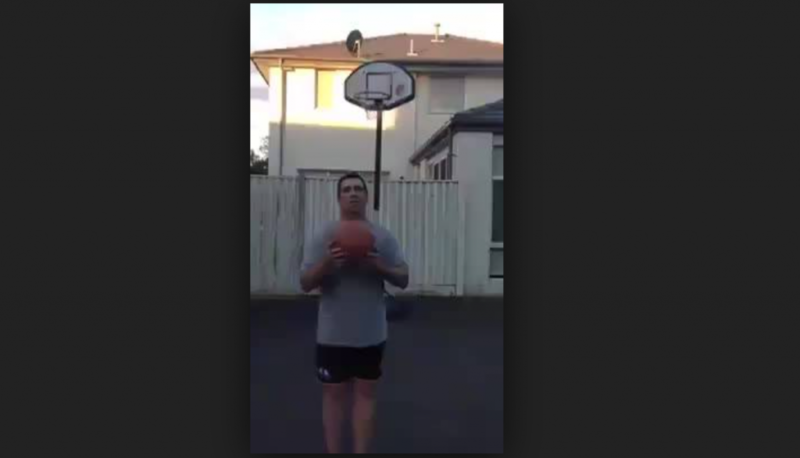 As you can see by the screen shot of this video, this Dad is standing in front of a basketball net, but he’s standing backwards. Right before he shoots the “shot of his life” you can hear his daughter bet him, and when you hear what she says you’re going to understand why the Dad is so hopeful that he makes the shot. I won’t give anything away here, but let’s just say that what happens once he throws the ball… no one expected to happen. Wait until you see what happens when he takes his shot.